Risperidone tablet is indicated for the treatment of schizophrenia and related psychoses. Risperidone tablet is indicated for the short term treatment of acute mania associated with bipolar 1 disorder. Risperidone tablet is indicated for the treatment of behavioural disturbances in dementia. Risperidone tablet is indicated in the treatment of conduct and other disruptive disorders in children (over 5 years), adolescents and adults with sub average intellectual functioning or mental retardation in whom destructive behaviours (e.g. aggression, impulsivity and self-injurious behaviours) are prominent. Risperidone tablet is indicated for the treatment of behavioural disorders associated with autism in children and adolescents. 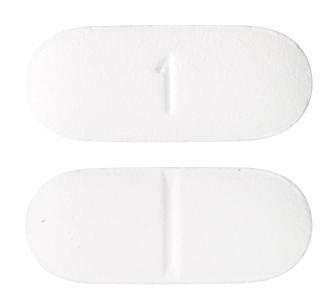 White, capsule-shaped, biconvex film-coated tablet, debossed '1' on one side and break line on the other side. 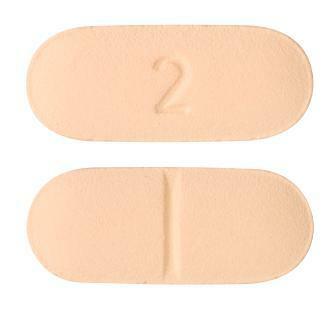 Orange, capsule-shaped, biconvex film-coated tablet, debossed '2' on one side and break line on the other side. 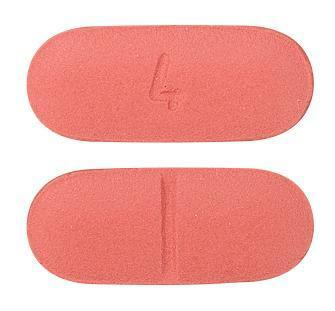 Red brown, capsule-shaped, biconvex film-coated tablet, debossed '4' on one side and break line on the other side. Dark yellow, capsule-shaped, biconvex film-coated tablet, debossed '3' on one side and break line on the other side. Schizophrenia is a mental health disorder. Symptoms include hallucinations, delusions, disorganised behaviour and not showing speech or emotions. Bipolar affective disorder is a psychological illness that involves severe mood swings from depression to mania that may last for several months at a time. Memory problems or memory loss is commonly caused by Alzheimer's disease or dementia, but sleep disturbance and thyroid conditions also affect memory. Memory loss is a symptom in which a person experiences an abnormal level of forgetfulness and inability to recall past events in their life. Autism or autism spectrum disorder is a developmental disorder affecting the brain and impairing communication, social interaction and creative play. Find out the physical and psychological causes of impotence, also called erectile dysfunction or ED. Clozapine is the most effective antipsychotic, but is reserved for people with schizophrenia who have not adequately responded to two other antipsychotics. A new generation of antipsychotics, drugs such as olanzapine and risperidone are recommended for people with a first episode of schizophrenia. Currently, the quality of information is too limited to come to any firm conclusions. A number of ongoing studies should provide more and better information in the near future. This review found some trials comparing the effects of adding second-generation antipsychotic drugs or placebo to antidepressants in obsessive compulsive disorder. There were only 11 trials on three second-generation antipsychotic drugs (olanzapine, quetiapine and risperidone). While not much can be said about olanzapine, quetiapine and risperidone showed some efficacy benefit, but also adverse effects. This review examines the effects of risperidone compared to other second-generation antipsychotic (SGA) drugs for schizophrenia. We identified 45 relevant studies with 7760 participants comparing risperidone with amisulpride, aripiprazole, clozapine, olanzapine, quetiapine, sertindole and ziprasidone. Comparisons of risperidone with zotepine are currently not available. Risperidone was somewhat more successful than quetiapine and ziprasidone, but somewhat less successful than clozapine and olanzapine. The main disadvantage of risperidone were more frequent movement disorders and more prolactin increase compared to most other SGA drugs. Risperidone is one of the most widely used new generation of antipsychotic drugs. This review summarises its effects compared with the older antipsychotics. In essence, risperidone may be equally clinically effective to relatively high doses of haloperidol, for an outcome that is difficult to interpret as clinically meaningful. Risperidone causes less adverse effects than the side-effect prone haloperidol. This review examined the effects of olanzapine compared to other second generation antipsychotic drugs for schizophrenia. We identified 50 relevant studies with 9476 participants, comparing olanzapine with amisulpride, aripiprazole, clozapine, quetiapine, risperidone and ziprasidone. Comparisons of olanzapine with the second generation antipsychotic drugs sertindole or zotepine are currently not available. Olanzapine was somewhat more efficacious than aripiprazole, quetiapine, risperidone and ziprasidone, whereas there was no efficacy difference compared to amisulpride and clozapine. The main disadvantage of olanzapine was its higher weight gain and associated metabolic problems compared to all other second generation antipsychotic drugs, except for clozapine. This review compares the effects of zotepine to other second generation antipsychotic drugs. Three trials suggest that the efficacy of zotepine may be comparable to risperidone and remoxipride. The evidence base is insufficient to provide firm conclusions as to whether zotepine is as effective or less effective than clozapine. The movement disorders and the cognitive changes appear to be similar to clozapine, risperidone and remoxipride. The need for antiparkinson medication is similar to risperidone and remoxipride, but may be associated with increased need than necessary with clozapine. Risperidone is a newer antipsychotic drug that was the first available as a long-lasting injection (a depot injection). The review examines the clinical effects of depot risperidone for people with schizophrenia. We looked for randomised controlled trials to determine the effects of quetiapine for schizophrenia in comparison to placebo and other antipsychotics. We included results of ten short-term trials and two medium-term studies. Quetiapine is effective for the treatment of schizophrenia but not much different from first-generation antipsychotics and risperidone in the respects of treatment withdrawal and efficacy. In comparison to typical antipsychotics and risperidone, it has a lower risk of movement disorders but higher risks of dizziness, dry mouth and sleepiness. This review compared the effects of amisulpride with those of other so called second generation (atypical) antipsychotic drugs. For half of the possible comparisons not a single relevant study could be identified. Based on very limited data there was no difference in efficacy comparing amisulpride with olanzapine and risperidone, but a certain advantage compared with ziprasidone. Amisulpride was associated with less weight gain than risperidone and olanzapine. Zuclopenthixol dihydrochloride, administered orally, is one of the older generation of drugs (though still available and used worldwide) for managing the signs and symptoms of schizophrenia. This review found no long term randomised studies and very few studies that reported clinically meaningful data. Two trials compared zuclopenthixol with placebo, neither of which reported global or mental state outcomes. People allocated zuclopenthixol did have increased risk of movement disorder adverse effects compared with people on placebo, although compared with similar older antipsychotics, zuclopenthixol fared better and the risk of being 'unchanged or worse' was decreased. None of the findings suggest any clear difference between zuclopenthixol and other typical antipsycotics across a wide range of adverse effects. When compared with the newer generation of drugs, those taking zuclopenthixol were associated with no greater risk of being unchanged or worse compared with those taking risperidone, although the study size of trials was small. People allocated zuclopenthixol however, were prescribed anti-movement disorder medication more frequently than those treated with risperidone and many people left these short studies early (45% zuclopenthixol vs 30% risperidone).